Olympic medallist and world champion James Guy will take to the water in the 200m Butterfly on day three of the Swim England National Winter Championships. The women’s 200m Breaststroke final could feature two of this year’s World Championship finalists while Jay Lelliott and Tom Derbyshire will be racing the clock to try and gain selection to the Gold Coast 2018 in the 1500m Freestyle. Guy (pictured) has only entered the 200m Fly at this year’s Winter Championships. While he has already been selected for the Gold Coast for the 100m Fly, 200m Free and 400m Free, he has his sights set on a fourth individual event. While no English swimmer has made the consideration time at an eligible event, Guy’s PB of 1:55.91 from the British Champs in April is comfortably inside it. British 17yrs age group record holder Jacob Peters was within a second of the podium at the World Juniors as he took his PB down to 1:58.40 in August. Peters is the second fastest English swimmer this season while both Matthew Domville and Joe Litchfield hold season’s best times within a second of the consideration time. Both British record holder Jocelyn Ulyett and Olympic finalist Molly Renshaw have already been selected for Team England, leaving just one potential spot up for grabs. Canada’s Kierra Smith is the fastest entry in Sheffield, courtesy of a 2:22.23 effort to finish fifth at the World Championships in Budapest this summer. Renshaw was just one place back in the same final and is the fastest domestic entry on a season’s best 2:22.96. In the chase for the consideration time, Stockport Metro’s Katie Matts holds a PB within half a second of the marker, having clocked 2:25.51 at the British Championships in April. Meanwhile, English juniors Layla Black and Annabel Guye-Johnson come into the event off the back of international success this summer, having won European Junior gold and World Junior bronze respectively. With no English entries within half a second of the consideration time for the men’s 100m Freestyle, competition could be fierce as a number of swimmers look to stake a claim for relay selection. 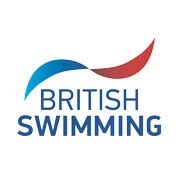 The top four active swimmers in this year’s English rankings are David Cumberlidge, Joe Litchfield, Miles Munro and Jarvis Parkinson with all but Litchfield set to line up in this event in Sheffield. There has been no English Commonwealth champion in the men’s 1500m Freestyle since 1938, when the event was contested over 1650 yards and won by Bob Leivers. While no swimmer has achieved the consideration time in eligible selection events this season, both Tom Derbyshire and Jay Lelliott (pictured) have swum under QT in the past. Lelliott was sixth in the same race at Glasgow 2014, and it would be no surprise to see both push each other under the selection time in Sheffield. A dark horse could be third fastest entry Toby Robinson who competed in the 5km and Mixed 5km Relay in the open water at this year’s World Championships in Budapest. Olympic relay medallist Chris Walker-Hebborn leads entries for the men’s 50m Backstroke and finished fourth in the same event at the 2014 Commonwealths. In the women’s 50m Butterfly, Canada’s World Junior medallist Rebecca Smith leads the way on entries, while Rachael Kelly is the fastest English name on the start list.